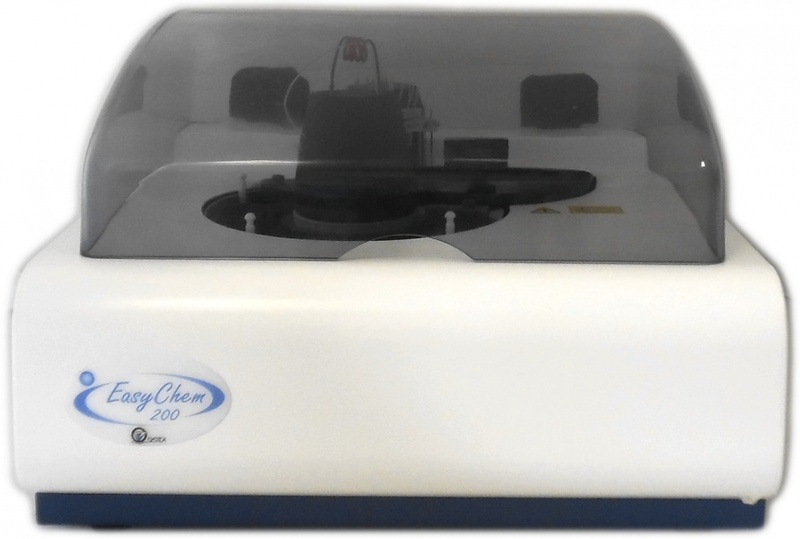 Fully automated analyzer based on Direct Reading Discrete Analysis technology, sample capacity from 60 up to 75 positions dedicated to samples. Easy to use: no specific experience or training required. Flexibility: individual parameters list selectable on each sample, pre or post run sample autodilution, working standard autodilution from a stock standard. Low reagents consumption: only a few microliters of reagents per analysis. Low running costs: nearly no consumables, low reagents and disposable costs. Immediate start up: no time waste or problems to reach hydraulic equilibrium. Immediate shut down: no washing procedure required. Windows based Software: easy to use and to learn; short training, specifically designed for chemists. QC control: up to five level of real time QC can be used, QC results are automatically stored and plotted in a quality control chart. QC actions: in case of QC out of tolerance the analyzer can stop the run or simply inform the operator leaving trace of malfunction storingthe QC out of tolerance. Data reprocessing allows to check and reprocess the results file, including or deleting data treatment.